Ahoy, matey! Come with me as I help unlock the secrets to family fun in Tampa Bay! This beautiful waterfront city has so much to offer families, including fabulous year-round weather, world-class animal attractions, and gorgeous views from water to wildlife. Tampa Bay is considered a “hidden city” and is definitely one of the best cities in the country for a family vacation. 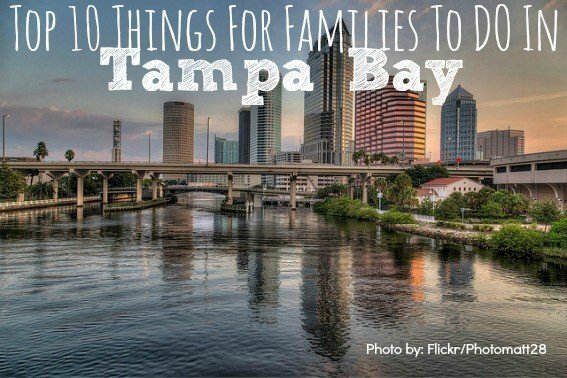 Here are our picks for the top ten things to do in Tampa Bay for families (plus some can’t miss dining, lodging, and day trip recommendations). Take a step back in time as you walk down the brick streets of Ybor City (pronounced EE-bor). Marvel at the buildings rich with history that lead into a cultural experience for the whole family! Enjoy the sights, tastes, and sounds of Cuban, Spanish, and Italian influences as you dine, shop, and stroll around 7th avenue. 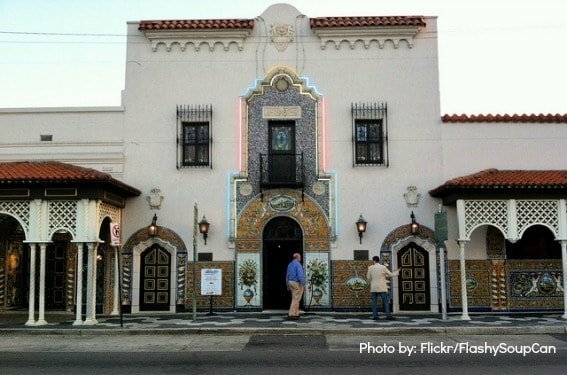 Bring the family for lunch or dinner to The Columbia Restaurant, Florida’s oldest restaurant, for the best Paya and Spanish Flamenco dancing on this side of the pond. 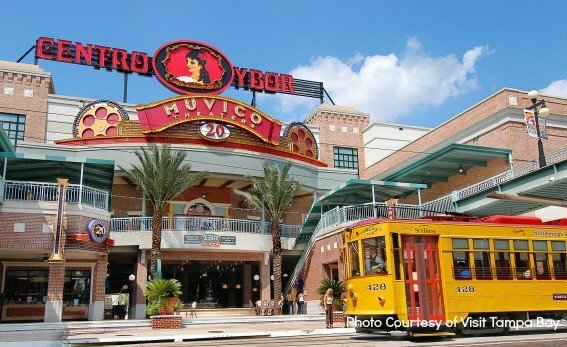 Visit the Ybor History Museum, shop at Centro Ybor, or relax outside at one of the many cafés with a delicious cafe con leche. 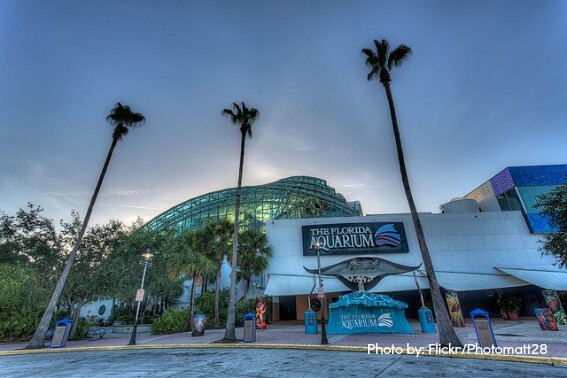 Take the TECO Streetcar to the Florida Aquarium before heading back to the The Hampton Inn and Suites right on 7th Avenue in Ybor City. 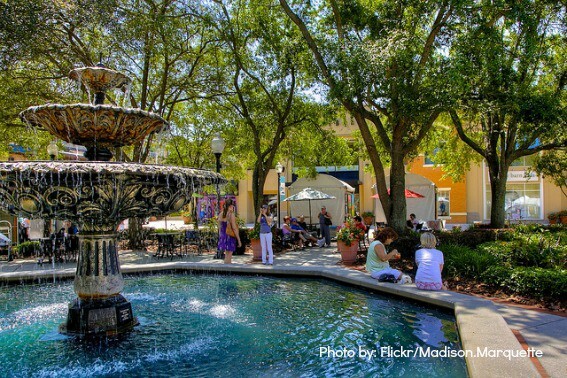 Just outside of downtown Tampa, you’ll stumble upon the most quaint shopping and dining neighborhood in Tampa know as Hyde Park Village. This historic South Tampa district has outdoor shopping, dining, and entertainment day or night for the whole family. Eat at The Wine Exchange or Timpanos for a Sunday Brunch, paint your own pottery with the kids at Color Me Mine, or leisurely walk to Kate Jackson Park, where kids can burn off some energy on the playground, at the basketball courts, or at the fountains. (It’s always good to pack a swimsuit for the little ones in Florida!) If you are fortunate enough to be in town the first weekend of the month, enjoy the city’s largest Fresh Market, with local artisan vendors, local cuisine, live music, and more. Another stop off the TECO Trolly is the Florida Aquarium. Currently undergoing an expansion, the Florida Aquarium is home to sharks, penguins, sting rays, lemurs of Madagascar, and the cutest otters you’ll ever see! Lots of native Floridian wildlife will have your kids learning a lot too! Bring swimsuits for the little ones, as the splash pad is a big hit. Watch them cool off while you grab a seat at the tiki hut and enjoy lunch outside. The Tampa Riverwalk project aims to bring life back to downtown. 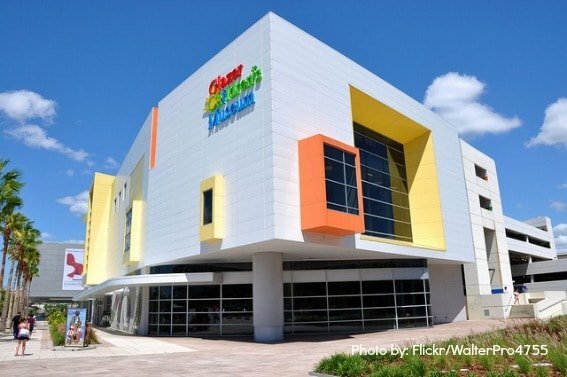 The Glazer Children’s Museum sits right in the heart of downtown and will give families an afternoon of fun! This hands-on, entertaining, and educational museum, perfect for preschoolers to early elementary school kids, has so much to see and do! Walk next door to the Tampa Museum of Art or relax with a picnic lunch in Curtis Hixon Waterfront Park. Definitely one of my favorite places to spend the afternoon. If sports is the way to your family’s heart, no matter which sport they like best, it’s easy to find a place to catch a game. The Tampa Bay Times Forum host the Tampa Bay Lightning and Tampa Bay Storm (arena football) and is located right in downtown. If football is your thing, head over to Raymond James Stadium, home of the Tampa Bay Buccaneers. If it’s baseball, right across the street is Steinbrenner Field, home to the world champion New York Yankees for Spring Training, as well as the minor league Tampa Yankees. Head just cross the bridge to see the Tampa Bay Rays play some baseball. 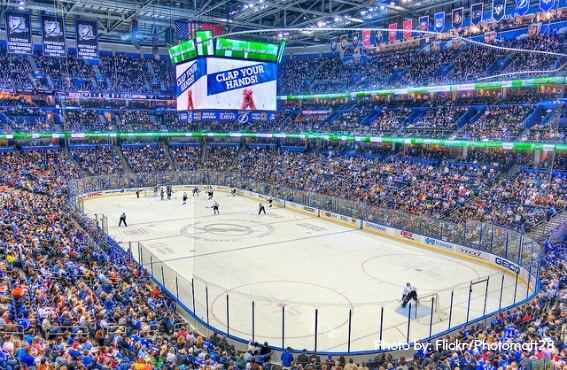 Check out our list of Best Places to Watch Sports in Tampa Bay. 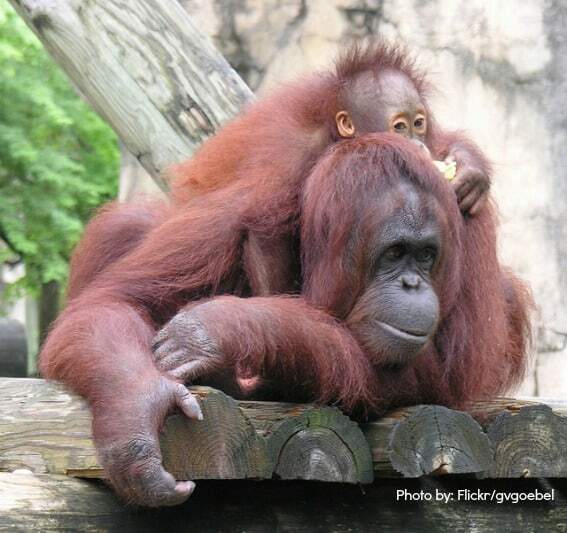 Voted one of the best zoos in America by Trekaroo families (and Parents Magazine), Tampa’s Lowry Park Zoo is a must see while in town with kids. Just north of Tampa’s Downtown, this zoo has over 2,000 animals, which means there is something for everyone. Feed giraffes, visit Africa in a behind-the-scenes Expedition Africa Safari, or cool off with the Gator Falls Flume ride. Explore Wallaby Station with little ones as they can ride the Tasmanian Family Coaster, bumper boats, or the ever-popular carousel! It’s a perfect setting to learn, as up-close animal encounters are everywhere throughout the zoo. Love visiting animals? 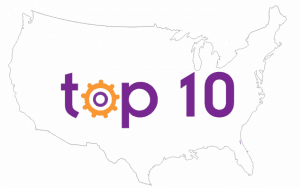 See the rest of Trekaroo’s Top 10 Zoos! With water surrounding downtown Tampa Bay, there is no better way to experience and appreciate this great city other than a tour through the Bay via eBOATS Tampa. 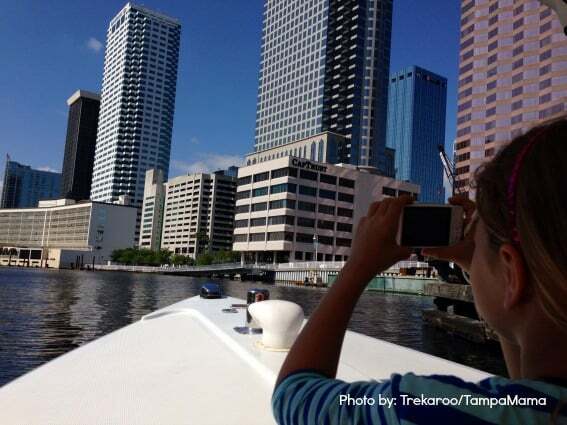 Choose to rent a boat or take a guided tour for an insider’s view to Tampa Bay. Catch the sunset and watch for dolphins or manatees while sitting back, relaxing, and taking in Tampa Bay’s natural beauty. If sailing is your thing, venture out on a sailboat with Tampa Bay Sailing Tours. 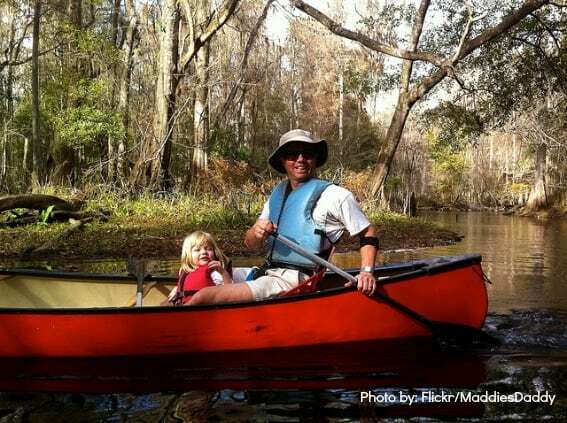 If you’re looking to escape city life, take a canoe adventure with Canoe Escape down the Hillsborough River’s 16,000-acre preserve. Abundant in Florida wildlife, you don’t want to forget your camera! A moonlight trip is available for those looking to experience nighttime exploring with gators, owls, and frogs (oh my!). Self-guided and guide-led tours are available. The iconic Tampa sign hangs outside the downtown Tampa Theatre, one of America’s best-preserved examples of grand, movie palace architecture. Giving the community a connection to the past, this cinema treasure represents a time when the American movie going experience was just that, an experience. 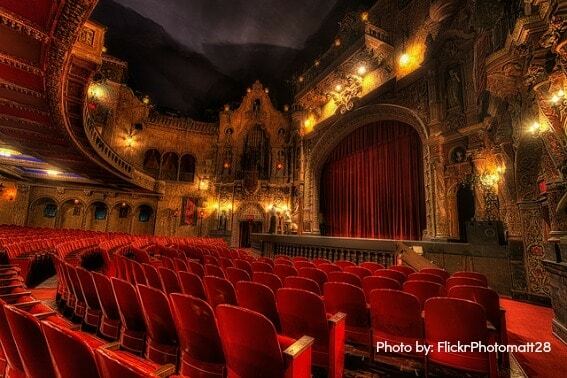 Tours run daily, including a “balcony to backstage” tour that incorporates hearing the Mighty Wurlitzer Theatre Organ play just as it did over 100 years ago! This historic landmark is fun for families to experience during the Family Classic Movie Series held throughout the year. Tampa could be considered a food lovers paradise as many new (and many tried and true) restaurants have been putting Tampa on the map with award-winning chefs and cuisine. Just because you’re traveling with kids doesn’t mean you always have to eat like one. Tampa Bay is known for its Spanish heritage and The Columbia Restaurant in Ybor City will have your family feasting on Spanish cuisine while being entertained by traditional Flamenco dancers. If you’re looking for a few places to grab a quick bite of great food, try the Taco Bus (as seen on Diners, Drive In and Dives), New World Brewery (best pizza), and at Datz’s Deli nothing on the menu will disappoint. Insiders Tip: Don’t forget to have a Cuban, Tampa Bay’s signature sandwich! We also love Carmine’s, a casual café in Ybor City where the devil crab is the thing to order. Check out our list of Top Restaurants in Tampa Bay to Dine With Kids! Tampa Bay has a vibrant downtown with many hotels that are centrally located for families to explore the city while still being near the beach! Take the TECO Streetcar around town to explore the city. The Marriott Waterside and Embassy Suites Tampa have beautiful views of the Bay and are perfectly situated in downtown Tampa. 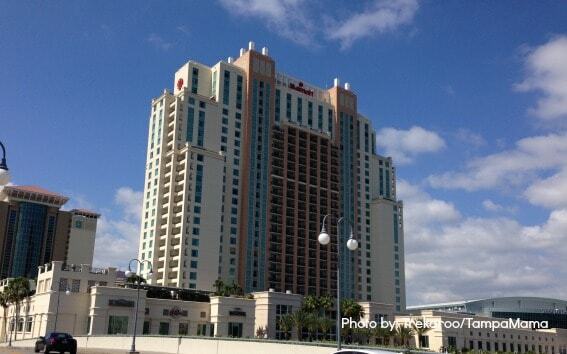 The Hampton Inn and Suites in Ybor City is a TECO Streetcar ride to the Florida Aquarium and downtown. For those wanting to stay on the beach, try the TradeWinds Resort on St.Pete Beach or the Hyatt Clearwater Beach. Check out our Top Tampa Bay Hotels for Families! Our popular neighbor to the East is only an hour drive away, which is close enough to justify a day trip to do or see whatever your heart desires! 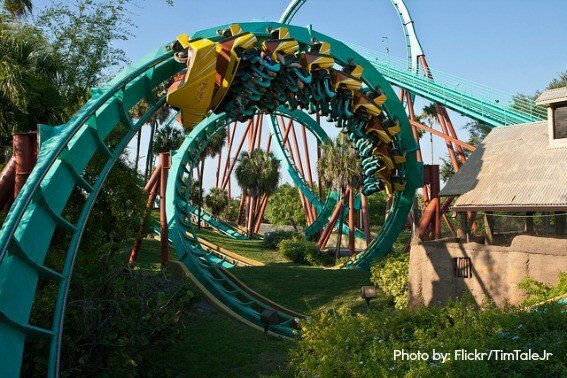 Walt Disney World, SeaWorld Orlando, or Universal Studios for the day can easily be on your agenda while staying in Tampa Bay. 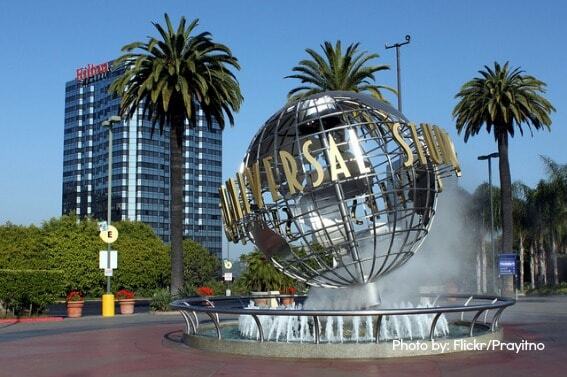 Pop over for a show like Cirque Du Soleil La Nouba at Downtown Disney or Blue Man Group at Universal Studios. See what else Orlando has to offer families! 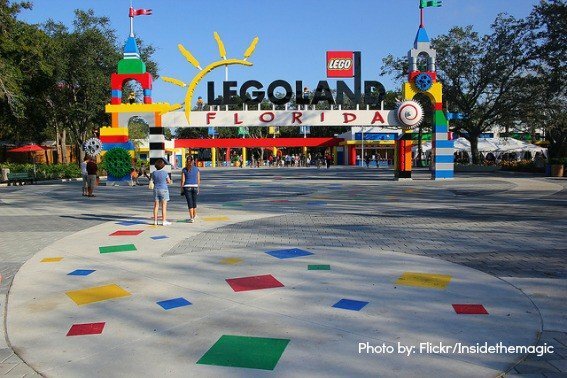 45 minutes away from Tampa, you’ll find LEGOLAND nestled in central Florida. This 150-acre theme park is geared towards kids ages 2-12. With more than 50 rides (including roller coasters), shows, and even an entire waterpark, families will come and enjoy a fun day building memories! From Clearwater Beach to St.Pete Beach, Tampa Bay is only an hour away from the tropical, postcard-perfect, paradise vacation you’ve dreamed of! Our friends to the West have sugar sand beaches and sunsets like no other. Clearwater’s Pier 60 has “The Sunsets at Pier 60 Festival,” a nightly sunset celebration. This free, family event features artisans, crafters, street performers and musical entertainment. Another local favorite is Pass-A-Grille beach in St. Pete where you can enjoy beachcombing and boating abound in this barefoot wonderland. Grab a bite to eat at The Hurricane, a local favorite, and watch the sunset while dining on fresh seafood. 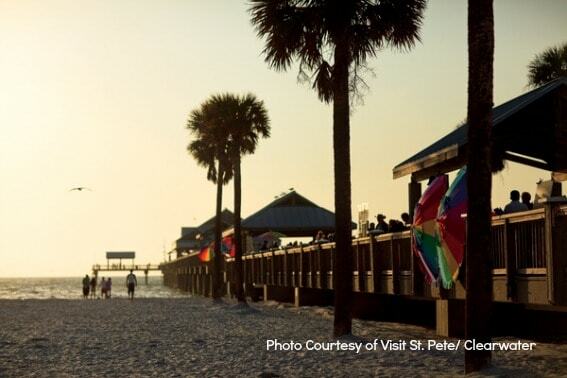 See what else St.Petersburg and Clearwater have to offer families! Great Post! I am happy that you mentioned The Columbia Restaurant because it is one of my favorite restaurants in Tampa. Thanks for sharing!